Press Release Archives - California Consulting, INC.
California Consulting, has helped secure a $580,650 grant for the City of Chino for the Housing Related Parks (HRP) Program. 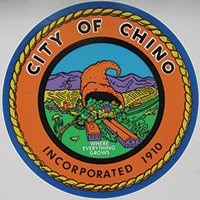 The City of Chino plans to spend the majority of the funds on Community Development Projects and Public Service Programs. They also had a $36,796 surplus from last years program, which will be spent on the Chino Old Schoolhouse Museum Restroom Project. Housing-Related Parks (HRP) Program uses voter-approved funds from the Housing and Emergency Shelter Trust Fund Act of 2006 to expand and improve the availability of parks and recreation facilities within communities. The largest share of the funding, 71 percent is allocated to communities that are both disadvantaged and park-deficient. Communities can apply for the funding if they meet a threshold of requirements, including having submitted an approved Housing Element plan. The amount of the award is based on the number of new affordable housing units the city or county has permitted.